For most corporate data centers, the key concern is managing connections within the data center itself, since that’s where most of the traffic stays. 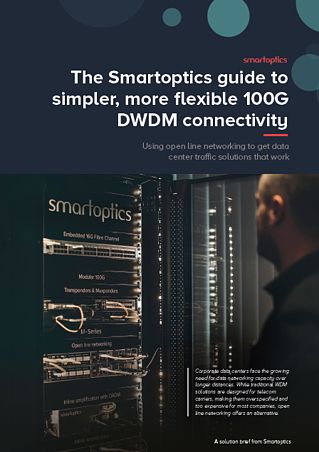 For this environment, it’s possible to connect 100G traffic together in a relatively simple way, using standard transceiver and cable assemblies, within the equipment rack or spanning opposite sides of the data center floor. This is sufficient for most scenarios, when there is no need to worry about transferring data between data centers or between towns or cities. This guide covers some of the factors involved in defining data center needs and traffic requirements. It outlines how to simplify connectivity using open line networking.